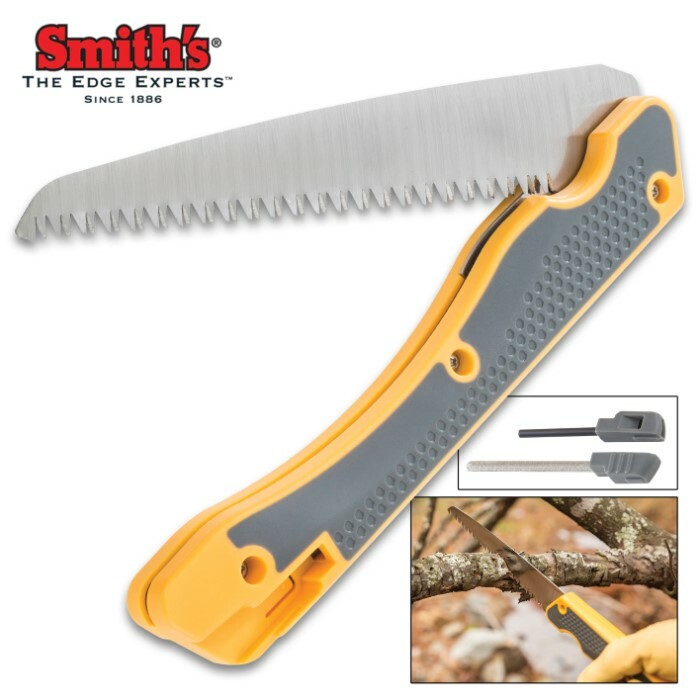 Smith’s Folding Limb Saw And Sharpener - Strong Teeth, Soft Grip Handle, Spring-Loaded Mechanism, Fire Starter | BUDK.com - Knives & Swords At The Lowest Prices! The Smith’s Folding Limb Saw and EdgeEater Sharpener is the perfect dual-purpose lawn and garden tool! 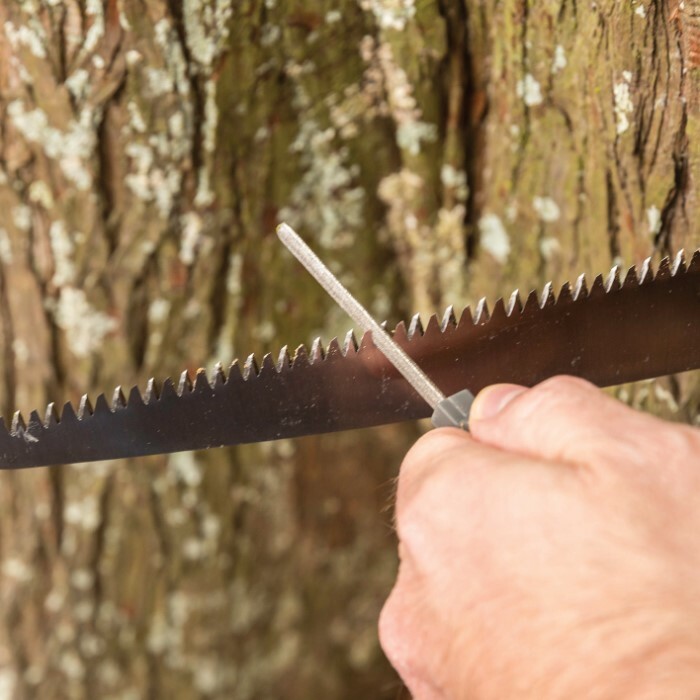 Not only, are you getting a folding saw with super strong teeth, but you are also getting an easy-to-use sharpener. The EdgeEater Sharpener is designed to hand-sharpen lawn and garden tools, hand tools, mower blades and knives. To successfully sharpen any implement, it is necessary to maintain a consistent angle in which the EdgeEater is held against the cutting edge. The purpose of the SharpShield cap is to help protect your hand while using the EdgeEater and the GrooveGrip is an ergonomically designed enhancement to the EdgeEater, which makes it easy to use. 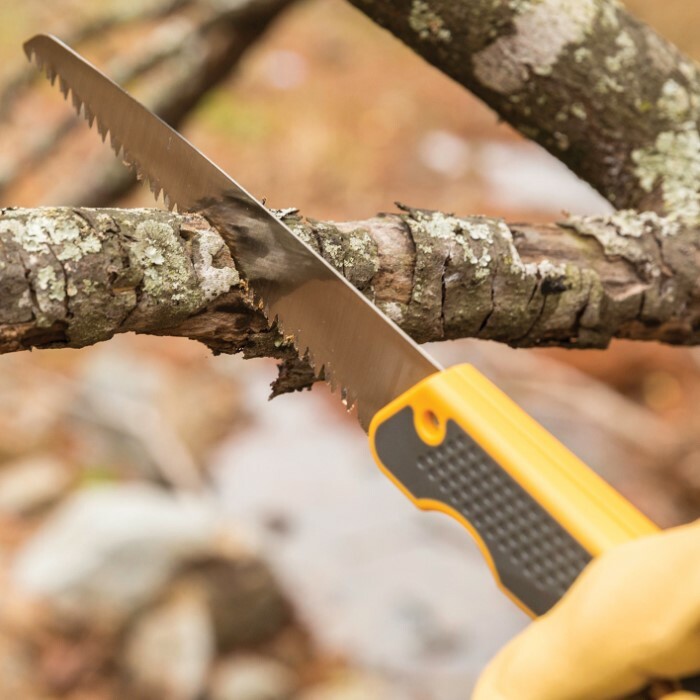 The folding saw has an 8” blade, which is perfect for cutting medium size branches and limbs and is accessed with a spring-loaded locking mechanism. The tool has a comfortable and durable handle with a soft grip, which is ergonomically designed so that the tool is easier to use. A fire starter is also included with the tool.